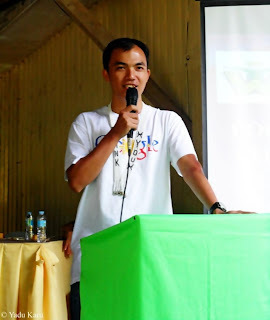 Smiles were all around the school campus of Lake Sebu Central Elementary School last Saturday, April 20, 2013 when we arrived to finally award the P100,000 from Google. 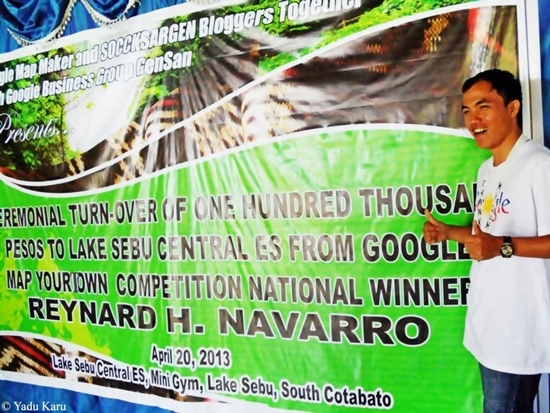 The amount is part my prize for being the top mapper in the Google Map Your Town Competition held last year. Members of the faculty, parents and the school's PTA officials and some pupils dressed in T'boli traditional costumes welcomed our group to their beautiful school. My message during the turn-over ceremony was short and simple, that the P100,00 be used for projects that will really benefit the school and the students. 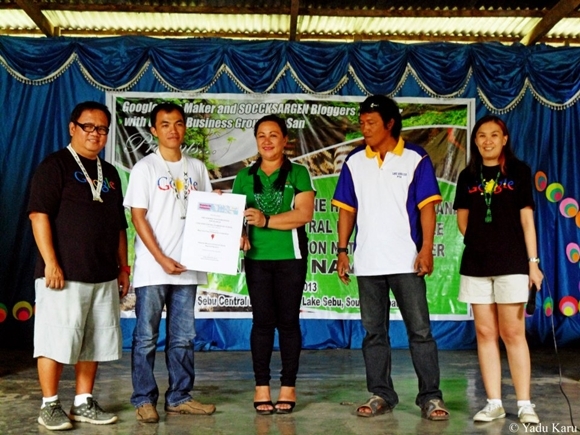 Present during the ceremonial turn-over from Google were Ms. Aileen Apolo-de Jesus, Head of Outreach - Google South East Asia, Chelle Gray, Google Developers Group Philippines Community Manager and Avel Manansala, Community Manager of Google Business Group Gensan and members of the SOCCSKSARGEN Bloggers -Genory Vanz Alfasain of YaduKaru.Com and Dr. Remo Aguilar of TacurongCity.Net .